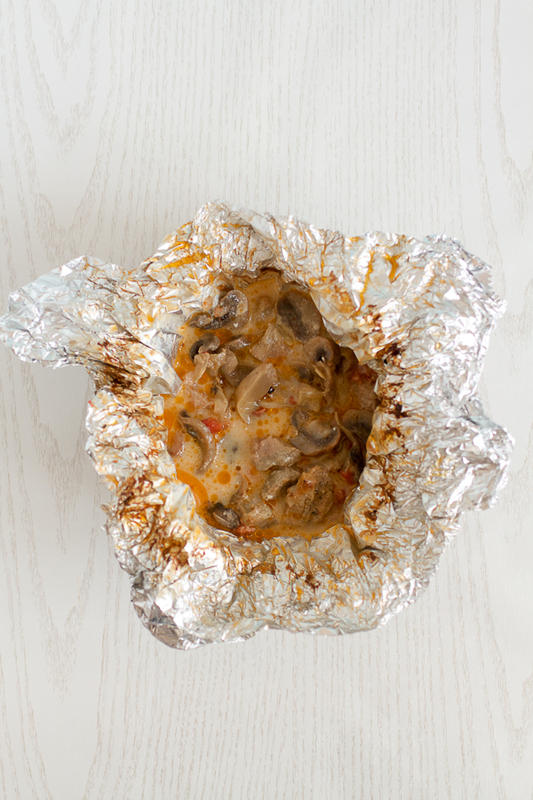 Gratifying mushroom and veal sauce: first simmered with tomatoes, peppers and onions, garnished with a drip of heavy cream, and then baked in foil (parchment paper) using a water bath. One of the main reasons I started blogging was to prevent certain aspects of Balkan cuisine from falling into oblivion. I like unearthing traditional, original stuff. Dagara, for example. It’s a great dish. Are there even better dishes? Yes. However, dagara also has traditional value. It’s what keeps it on the blog. I’m aware most people in the English speaking world won’t be making my recipes. Most dishes are more time and care intensive than available plethora of 30-minute, 5-ingredients or less recipes going viral on Pinterest. Balkan cuisine takes time. It’s rich. Deep. Flavorful. Creamy. And a bit heavy for a Western palate. These are the reasons why you don’t see many Balkan food trucks, or restaurants across the US. This naturally doesn’t include St. Louis, Chicago, or New York here, aka cities with large Balkan communities. But it does, surprisingly, include the DC Metro. While known for its large ex-Yu community, there are barely a couple of Balkan restaurants in the area. One of them is perfect if you want to try traditional dishes. The food will leave you seduced and spent, as if you just had a solid round of love making. But it’s happened to me more than once, to arrive there and be unable to order pita (pie), because it was sold out for the day. This problem has roots in the old country. It happens to me regularly in Sarajevo (at well-known restaurants) that some menu items aren’t available. Call me picky, but when I go out for a meal, I want to be able to order from the menu. Especially if it’s something as foundational to a cuisine as pitas are to the Balkans. The other Balkan place in the DMV, sadly, is a fusion restaurant. Food is delicious, but derivative. It’s akin to the third generation immigrant’s language skills. If you’re familiar with the language, in our case cuisine, you’ll grasp the meaning behind the dish. But the conjugation of ingredients is all wrong. Except for a few individual items like rakija (brandy), or ajvar (roasted red pepper spread), you won’t find the same concoction of dishes in Bosnia, Serbia, Croatia, or elsewhere here. I want to highlight that we’re not talking about taste here, but authenticity. Admittedly the problem may lie with me. There is a limit to how much “fusion” I can take in a dish. What frustrates me is that most people unfamiliar with Balkan cuisine will consider the dishes evocative or exotic enough to be from the area as the original, thus the real thing. Unlike what political correctness balderdash would have us believe, it’s not the repetitive marketing that makes us accept a new idea. Only when we’re confronted with an issue in our own lives can it transform our stance. As of late, I’ve been confronted with my own views regarding the right to adjust Balkan cuisine. I can’t say I’m all ‘fusion’d’ out, but I’m far from the traditionalist I once was. My change came in the form of a new friend. 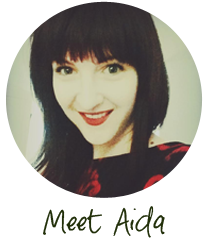 K from Poland is married to a Bosnian guy, and has lived in Sarajevo for several years. Her style of cooking combines both Polish and Balkan techniques, seasonings, and ways. But she has a difficulty with Bosnians, traditional and stubborn as we are, to accept her slight and, dare I say, successful upgrades to local dishes. And K knows her food. She notices differences in cooking even locals would miss if they didn’t pay attention. She knows the slight variances between pita in Bosnia and pita in Serbia for example. That you’ll find layered pita in a Belgrade bakery before you’ll find it in Sarajevo, and that Sarajevo bakeries carry more pita rolls. Her views helped me accept that just as cultures are malleable, so is their food. But they can’t be changed so much to be unrecognizable either. If you go to far with the changes, the cuisine becomes something else entirely. K too noticed this the last time she was in Warsaw, when she went to a popular Balkan restaurant. The food had gone so far from its origins, it was only similar in the looks. Pita, to say, was not pita. It’s a Sisyphus’s task then, this balancing journey from traditional to contemporary where cuisine is concerned. Hajj is a pilgrimage journey Muslims – if financially able – are required to make at least once in their lifetime. It’s one of the main five Islam pillars. It was also out of the question for most Bosnian Muslims back in the day. The trip was expensive, far away, and too complicated. So for the person that made it to Mecca and back, becoming a hadžija was synonymous with being well off, and doing well in life. Thus, hadžija in today’s slang is similar to boss in English slang. Surprisingly, the slang applies across borders. In Serbia for example, someone who visited Jesus’ grave in Jerusalem back in the day was also hadžija, as they too had to be “boss” to make the pilgrimage. Hadžijski ćevap translated is hadžija’s ćevap. Although ćevap generally stands for grilled sausages famous in the region, it’s also the name of several veal sauces. You’ll differentiate them easily as veal sauces are usually preceded with an adjective. So in addition to hadžijski ćevap we also have sauces such as sitni ćevap aka miniature ćevap. And so it goes that today we’re making mushroom veal sauce that’s boss. Just by its name, I knew the dish would be fantastic. And also because it comes from Ms. Ifeta’s kitchen, of the ground beef dumplings fame. It’s impressive, and overall a light sauce compared to many others. I waited 6 months before finally making this. For the sake of your palate, I hope you don’t wait nearly as long! Heat oil and butter in a larger pan. Add onion and stir. When it crystalizes, add veal and stir again. After browning the veal for a couple of minutes, add bell pepper and stir. 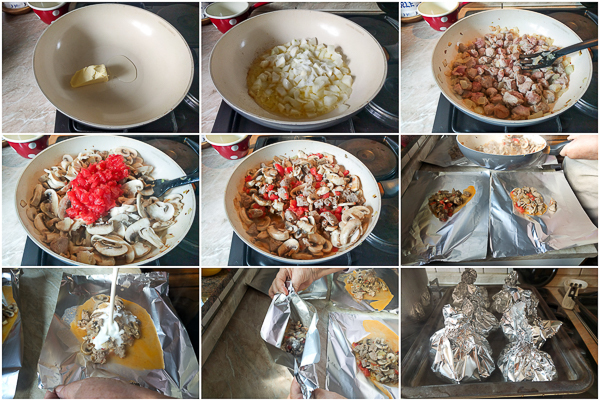 Wait a few minutes more and follow up with mushrooms, then tomato and spices. Simmer 10ish minutes. Heat oven to 490°F (250°C). Cut 6 10×10 squares out of foil (or parchment/ baking paper). Place all on a working area and fill equally with the sauce. Add two tablespoons of heavy cream to each. 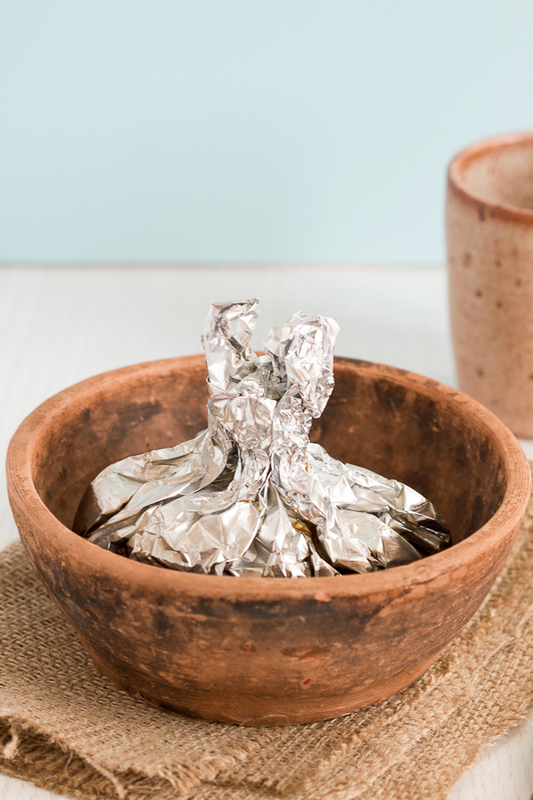 Wrap them up into small bags by lifting the sides up toward the middle first, and then pinching them together on sides (they’ll resemble a Hershey Kiss after you’re done). (If you’re using parchment paper you can tie the bags together with a small amount of rope.) The bags should be completely sealed as to not let anything in or out. Place the bags into a deep baking pan. Fill it up with hot water about half the height of the bags. (You’re essentially making a water bath.) Bake for 30 minutes. Lower temperature to 390°F (200°C). And bake another 40 minutes. Keep the level of water by adding more hot water if necessary. Turn the pan around at least once during the water bath. When ready to serve, give each person a bag (careful, it’s hot!) on a plate, and let them open it on their own. Optionally serve with mashed potatoes. Hi Aida! I made this dish last night. It was delicious, almost like a meaty cream of mushroom stew! I did run into a bit of an issue with the foil and water bath though. I never seem to have any luck with dishes requiring a water bath. Water always seems to get into whatever it is I’m making. I was very careful about making sure I sealed the foil properly but somehow water still managed to seep in and by the time I took the dish out of the oven the water was white from the cream that had leaked out. Perhaps I should have double wrapped each one? 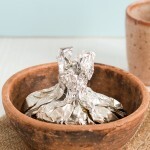 Or maybe used a foil pan covered with foil instead? As far as the water bath, the lady that taught me to make these warned me about the same thing. Not sure about double wrapping it, because if you do, not enough heat may get to the ingredients so they won’t be baked enough. 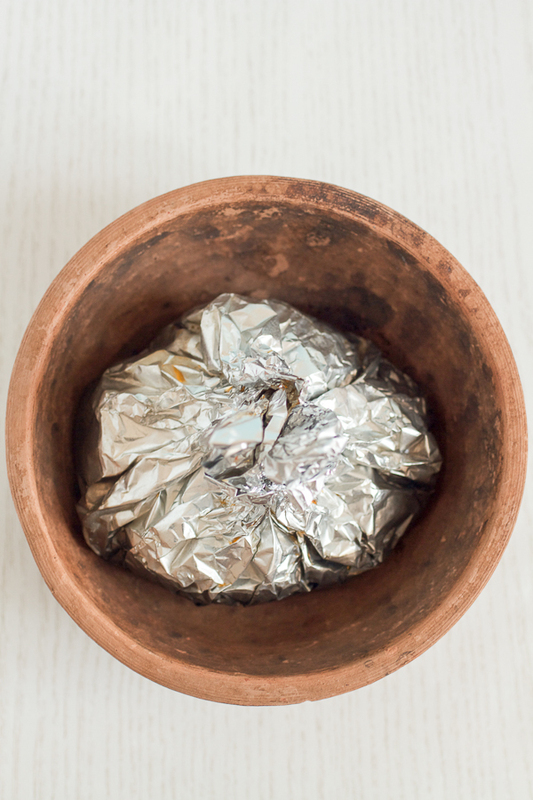 Try squeezing the foil even harder next time, and also while making the water bath, the level of water should be just 1/4 to 1/3 of the foil bags. Maybe that will help. Also, some women use baking sheet paper instead of foil. Not sure how that works. Thanks Aida! Should I have squeezed all the air out of the bag too? Maybe that will help? I’ll also try with less water next time, because my water level was more like half way up the bag. Yes. Except for the sauce, nothing else should be in the bag, including as little air as possible. Maybe also try a shallower pan with less water. The idea behind a water bath is to have the steam going, but it doesn’t have to be as exact as when making a custard, or a cheesecake, which this type of baking is generally used for. Don’t over think it. Let the experience show you the way. You’re really good at picking up techniques. I don’t get it, how are you dissing political correctness as “balderdash” while campaigning against cultural appropriation and culinary authenticity? The whole point of political correctness is that we all try to empathize and respect the values of others, the same way I am compelled to respect your values by paying attention to what you write and thinking about the legitimacy of a couple of Bosnian restaurants in my neighborhood. I really appreciate your work and your recipes (and your commentary!) but it just seems not very sensible to criticize political correctness while encouraging readers to be culturally competent towards you. I agree that it can get out of hand, but rejecting PC as balderdash seems rather extreme. I’m not campaigning against anything. The stories on here are to be taken in a light hearted context. You don’t have to agree with me to enjoy them or the recipes. I prefer traditional dishes because they (generally) taste better than the fusion dishes. This vignette pokes fun of my own (former) staunch stance on the issue. Our world (or at least DC and most metropolitan cities) is one where mixing of cultures has been happening for ages. One has to accept that changes (culinary ones too) do and will happen. Regarding political correctness, there is a time and a place for it. It’s done a lot of good. There exists a line, however, which once crossed diminishes all that it had accomplished as it becomes sort of a joke upon itself.